Lisa wearing the first suit she bought in America (Aron recollected that it was taupe). Lisa's aunt, Faye Abrams, gave her the money to buy this suit. 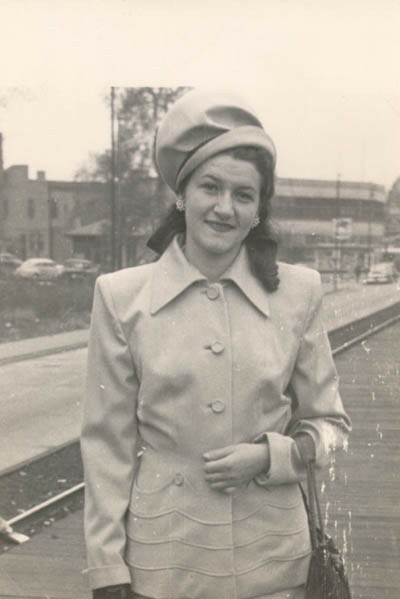 Photograph taken in 1947 in Chicago, Illinois, at the Illinois Central station, 75th street (Lisa was either coming or going from downtown).